We show that every finite connected graph G with maximum degree three and with at least one vertex of degree smaller than three has a straight-line drawing in the plane satisfying the following conditions. No three vertices are collinear, and a pair of vertices form an edge in G if and only if the segment connecting them is parallel to one of the sides of a previously fixed regular pentagon. 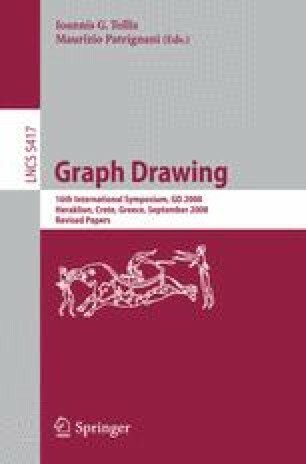 It is also proved that every finite graph with maximum degree three permits a straight-line drawing with the above properties using only at most seven different edge slopes. Research supported by grants from NSF, NSA, PSC-CUNY and the Hungarian Research Foundation OTKA.